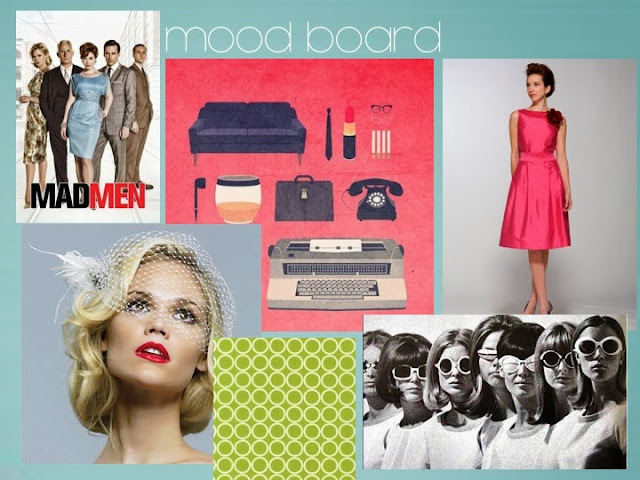 We're always extra excited when our client comes from the Rebellious Bunch! We helped out Bonsai Fojas, owner of Bonne Headcandy, by streamlining her wedding concept. And as she is a copywriter by day and loves all things "lola chic" (that's grandma chic), Mad Men was the perfect theme! 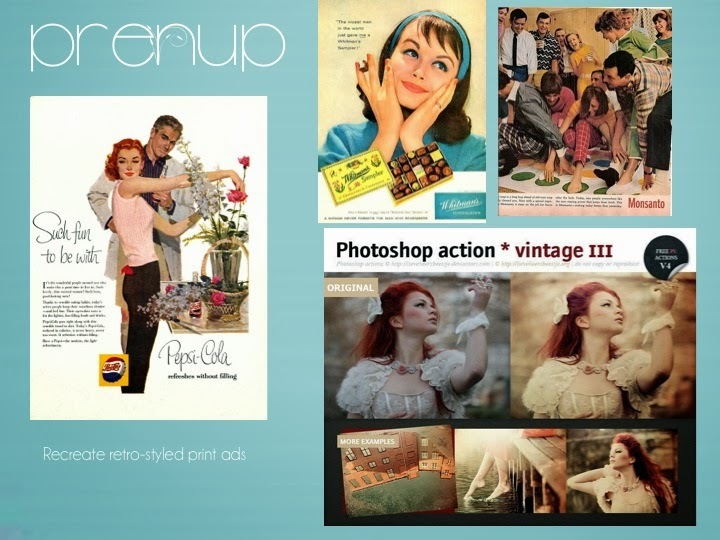 So for her prenup, we came up with the idea of re-enacting vintage ads from the 50s/60s. Very Mad Men, indeed! But we do love how how their personalities popped out in the photos. You see, Rebels, you can always make your engagement shoot more interesting if you just go beyond simply imitating and injecting a twist of your unique personalities. 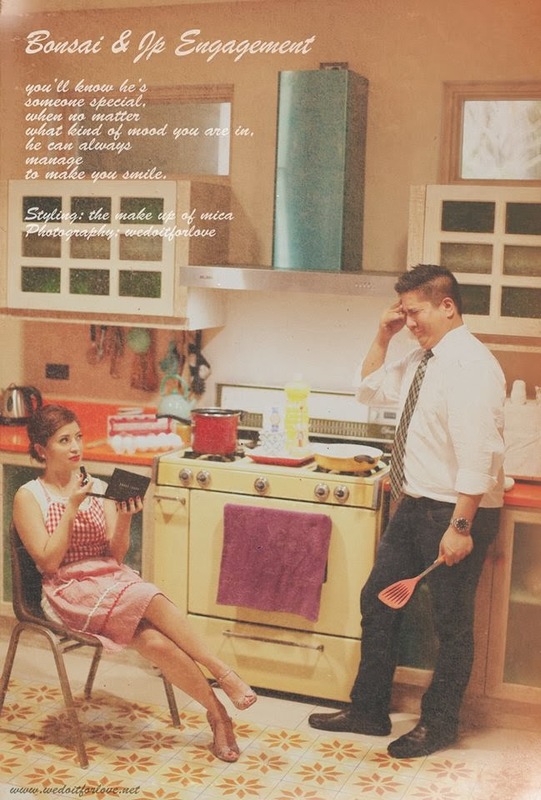 In Bonsai and JP's retro ad, the chef does everything but cook! (And it really is JP who mostly cooks). LOVE the role reversal and how her fiance JP didn't take any of this seriously. The dash of comedy added to the prenup recipe was just fantastic. That is what we mean by taking pegs a notch further. Inspiration NOT Imitation. fastest teaser release EVER! Haha! We love it! The selection of theme is really different.